Varun tej received a decent response from the audience and he got the feedback about his voice that it should be improved soon. He has then come up with his second movie Kanche which released during Dasara this year. Talented director Krish directed the film and Pragya Jaiswal played the female lead in the movie which has been set during the backdrop of Second World War during the pre-independence era. Varun Teja received huge applause for his performance in the movie and he has improved a lot with his performance, looks and dialogue delivery in Kanche. Varun tej has been highly satisfied working for Kanche and critics praised Varun tej for his innovative script selection for his second movie. Varun has signed his third flick in the direction of sensational mass director PuriJagannadh and the movie has been titled as Loafer. Varun tej has been seen in a mass avatar for the first time in his career and the film has been completed the shoot in 60 days. DishaPatani made her debut as heroine in this mass entertainer and the movie has been laced with loads of entertainment and family emotions. Revathi and Posani Krishna Murali played the other important roles in the flick. Varun tej excelled in the role of Raja in the movie and his performance happened to be the major highlight of Loafer. The movie released in 1450 screens across the world and it received mixed response all over. 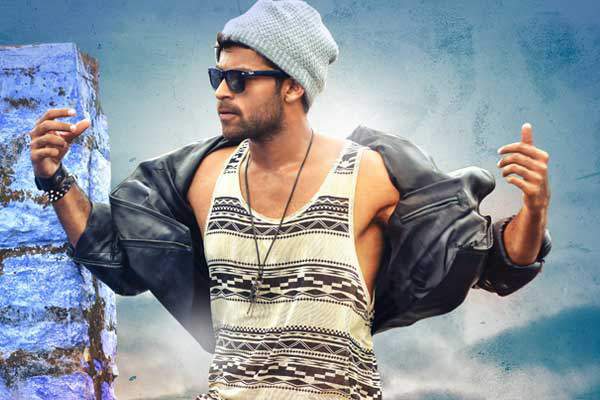 The film collected Rs 3.5 crores on its opening day which has been decent for Varun tej. The film opened to mixed reviews and the word of mouth has been poor as the second half offered nothing new and interesting. The movie dipped badly on the second day and flick minted Rs 1.5 crores on Friday. The flick collected Rs 1.5 crores on Saturday and Sunday because of weekends. Film collected Rs 6.5 crores in the first four days which has been remarkable. Sunil Kashyap composed the music and C Kalyan produced the flick on CK Entertainments banner and Sri SubhaSwetha Films banner. Loafer is expected to close near to Rs 10 crores in its final run and the movie has been declared as a flop at the box-office.